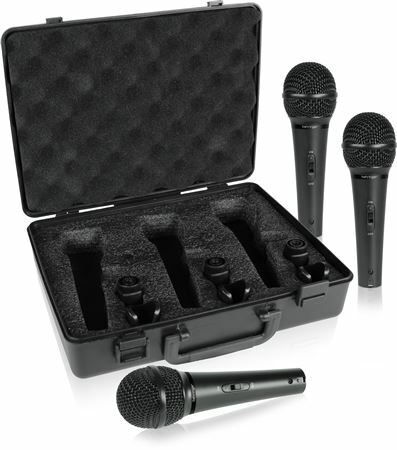 The Behringer XM1800s Ultravoice is a 3-pack of dynamic cardioid vocal microphones. The XM1800s is a high-quality dynamic microphone for vocal and instrumental applications. 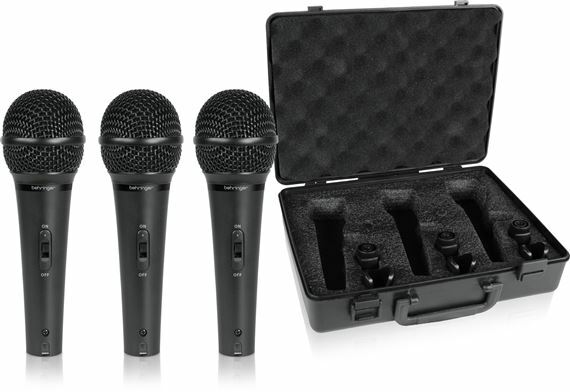 The Behringer XM1800s Ultravoice is a 3-pack of dynamic cardioid vocal microphones. The XM1800s is a high-quality dynamic microphone for vocal and instrumental applications. Just because you are on a budget doesn’t mean you should make compromises on performance. If you are a serious musician, a DJ or an all-around entertainer, this is definitely the mic for you. The XM1800S features an extremely high signal output that makes your voice cut through, and ultra-low distortion provides for super-clean sound. Presence lift in the critical mid-range gives you maximum voice projection, while exceptional off-axis rejection eliminates feedback problems. 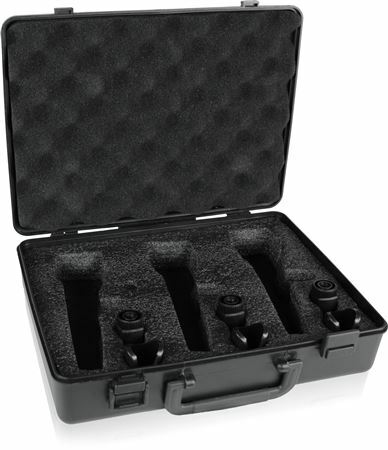 Super rugged construction copes with your toughest live assignments, and a foam-lined impact-resistant carrying case is included. The XM1800S also features an on/off switch. got this set for my boyfriend and his band. They all agreed the work great. Very comparable to the SM-58 but a lot less money. Whether you are just starting a band or whether you want a few extra mics, at the this price don't be afraid to stock up. Tough, dependable, sound great..Try one, you will be hooked. So excited I found this mix value deal! Shipment was very fast. Received when needed.